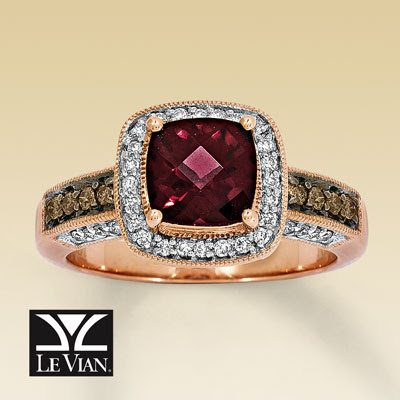 What do you get when you combine the love of chocolate,strawberries, and diamonds? 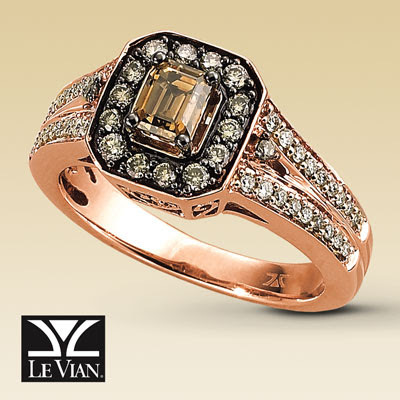 The fabulous diamond collection from LeVian. This is truly a way for a girl like me to have a decadent dessert every single day and not gain a single pound! Chocolate diamonds surrounded by strawberry gold (the modern day term for rose gold, which has always been one of my favorites.) What's not to love?? I've always wanted a non-traditional engagement ring and these are certainly right up my alley. Take a look for yourself.